It's not TUESDAY, but it is TWOSDAY! hee-hee....see what I did there? *sigh* Okay, I will get on with it, I promise. Here's the deal, I have TWO cards and TWO tutorials up today on different blogs. Each shows a different technique and I honestly think both are awesome and I hope you love them. This card is up over on the CAS-ual Fridays Stamps blog and I have a complete tutorial showing you how to get that distressed foil look! Hint: No fancy machines required! YAY! I'd love for you to stop by and check it out! 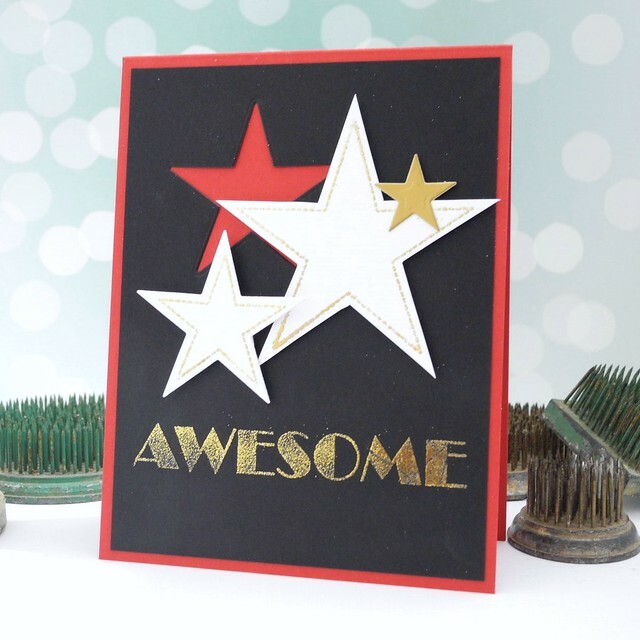 This card is up over on the Spellbinders blog and with this one I show you how to really get FULL mileage out of your Spellbinders dies by using them to cut, emboss, AND stencil to create a seriously fantastic finished look. LOVE IT! So, basically, why are you still here? GO! Check out these tutorials! Share them with friends! Thanks and I love you all! Oh these are both so great.